This year marks the third annual Epcot International Festival of the Arts, and the festival has officially kicked off across Epcot at Walt Disney World. The festival gives us a look at a variety of different art mediums and experiences, including culinary and merchandise offerings. During the festival, it is extremely convenient to carry one of the mini Disney Gift Cards attached to a wrist coil. You can even purchase a mini gift card themed after the festival. There is a special foil treatment that surrounds Mickey in a burst of color as he paints, plus there is a geosphere pattern like that of Spaceship Earth that fills Mickey’s silhouette. The colors shift depending on how the card catches the light. You can pick up the special-edition Disney Gift Card at one of the festival merchandise locations. They can be activated with as little as $15 and go up from there. 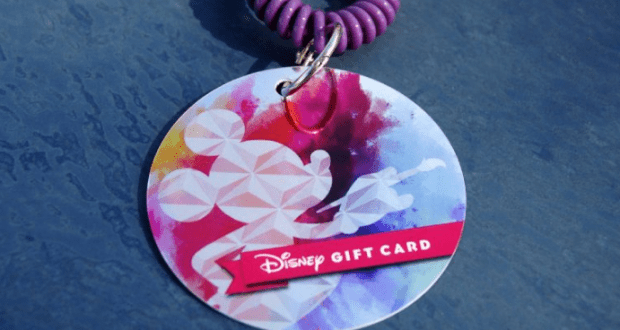 You can use Disney gift cards to purchase just about anything across Walt Disney World and other Disney destinations. 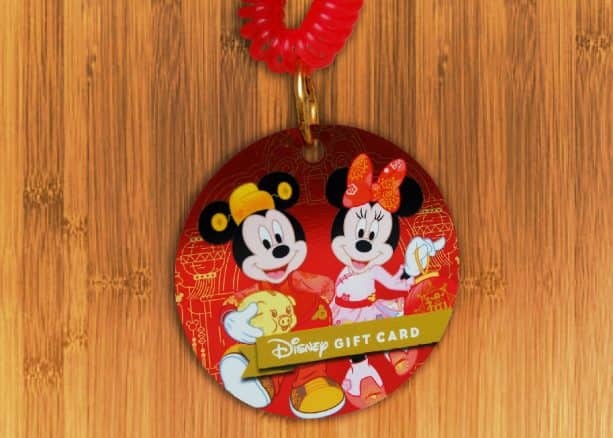 If you will be heading to Disneyland Resort between January 25th and February 17th, you can also check out the special gift card celebrating the Year of the Pig during the 2019 Lunar New Year Celebration. The celebration will be taking place at Disney California Adventure park and there is this special gift card is to commemorate that celebration. Which of these limited-edition gift card designs is your favorite?